Deadline: n/a | Published: 27/08/2017 | Venue: Artists and Friends Podcast | Sid and Jim . 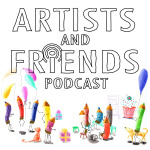 Artists and Friends is a Podcast that reviews current digital and physical exhibitions. The show is also focused around discussing ideas surrounding art, as well as talking about curation and interviewing emerging artists and curators. Podcasts can be found on iTunes, Soundcloud and YouTube. 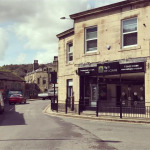 Valli Opticians in Hebden Bridge are keen to showcase the work of local and regional artists and they've asked if ARTbound would curate the exhibition programme for 2019. Have you had your working method changed by software? We are looking for artists, designers, musicians and creatives to take part in a research project investigating artists practices affected by technology. This research study is specifically looking for people who have their methods of working affected by software changes. This can include: Updates, software obsolescence, changes to cloud-based tools or commercial shifts in technology which have forced changes to their working method. We're inviting proposals from artists who are interested in creating a site specific intervention into the entrance lobby / stairwell of Warrington Museum & Art Gallery, in order to create a more engaging and welcoming visitor experience. 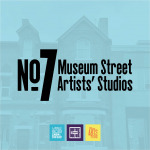 Culture Warrington has created a space for affordable studios attached to Warrington Museum & Art Gallery. Jewellery OPEN CALL - Kunsthuis Contemporary Gallery gives you the wonderful chance to become a part of its unique jewellery collection for 2019.
artlab conflab is a new initiative aimed at empowering women and invited guests to explore particularly visual art of a ’non-commercial’, controversial, exploratory, experimental or developmental nature. Or just to view their work in a different, supportive and non-judgemental, ‘human-scale’ environment. Deadline: n/a | Published: 27/08/2017 | Venue: www.thesketchupresidency.com | Sid and Jim . 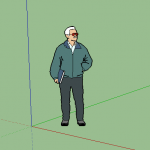 The SketchUp Residency is a project created and curated by artists Sid and Jim where participating artists are asked to use 3D modelling software 'Google SketchUp' for the duration of their term.